Anesthesiology: Anesthesiology is a term used to describe the medical speciality concerned with the study of anesthesia or anesthetics. 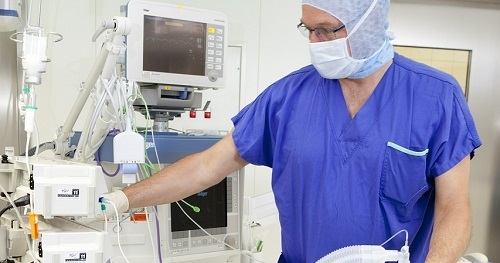 Anesthesia by definition is the loss of sensation with or without the loss of consciousness. The American Society of Anesthesiologists define anesthesiology as "the practice of medicine dedicated to the relief of pain and total care of the surgical patient before, during and after surgery.